When it comes to applying end dates in Data Vault there are a number blogs, books, and discussions on LinkedIn forums. Standards about dates and time have evolved for Data Vault and because there is no centrally managed, open forum to monitor Data Vault standards, you will have to buy books from various authors to try and stitch together the rules. During my research into end dating and various discussions with Roelant Vos, I decided not to write another article about the pros and cons of adding end dates. Instead, I recorded a webcast that looks at why and how you can selectively configure this using BimlFlex. In this webcast, we configure ETL and ELT templates running initial and delta loads. We look at the performance differences in both these approaches with and without end dating. Spoiler alert it is all about choice and the choice is yours because everybody's requirements are different. 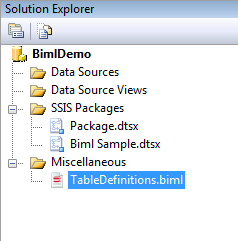 The upcoming version of BimlStudio will include full support for Azure Data Factory v2, including new first-class Biml elements to create Gateways, Linked Services, Datasets, Pipelines, and Triggers. In this webinar, we will give you a comprehensive tour of the new functionality in the context of an end-to-end solution. In just a couple hundred lines of Biml code, we will show how to read a source schema from an on-premises system, generate an Azure Data Factory that loads the source data into an Azure Data Lake, and create a PowerShell script to automate the build and deployment process. All of the code will be made available for use in your projects.